Tag Archive | "tuition freeze"
You may remember that last year I wrote an article about how the Minneapolis College of Art and Design was implementing a tuition freeze for the first time in a number of years. President Jay Coogan stated that the tuition freeze would only be for a year and that a minimal increase was probable for the subsequent year. Keeping true to his word, President Coogan just announced a tuition increase for the 2011-2012 academic year. One of our readers recently sent me a copy of the letter emailed to MCAD families this last week. You can read it in entirety below. In response to the letter, I think that a 3% increase in tuition is pretty good given the double digit increases that we see popping up across the nation. I also like how they directly associated their increase to that of inflation for the past couple of years (1.5% each year). Not many schools are quick to compare their tuition increases to the rate of inflation (probably because they exceed it every year). So, I give credit to Coogan and MCAD for their comparative analogy. If you (or your student) go to a college or University that experienced a tuition increase (or decrease) that was historically significant, please don’t hesitate to pass the announcement letter or video onto me to share with our readers at CheapScholar.org. It could be great exposure for your college and it also helps to keep our readers in the loop of what is happening with tuition expenses in higher education. I am writing to let you know that the Board of Trustees of the Minneapolis College of Art and Design has set tuition for 2011-12 academic year at $30,385; this is a 3% increase over the current year’s tuition of $29,500. Over the past several years MCAD’s tuition increases have been among the lowest of art and design schools and private colleges in the country. Last year the Board took the unprecedented step of holding the tuition level from the previous year. When averaged out over two academic years, the 3% increase amounts to an annual increase of 1.5%; this is comparable with the nation’s overall rate of inflation. 1. Keeping the increase as modest as possible so as to minimize the impact on MCAD students and families. 2. Continuing to invest in the resources that help us maintain a high quality education. We believe this investment ensures the best possible programs and facilities to support our educational programs. Members of the MCAD Board and I all understand the cost of attending a private art college creates a financial challenge for you and your families. Many of us faced similar challenges in attending college and all of us respect the sacrifices required. In order to help, MCAD is adding an additional $167,000 of institutional financial aid for the coming academic year. Like all colleges, MCAD depends on fundraising to meet the financial needs of it students. The college has initiated the Students First Scholarship Challenge to provide currently enrolled students with additional financial aid. We are close to meeting this year’s goal of raising $100,000 from alumni, parents, and other donors in new and increased gifts—which will be matched by the Board for a total of $200,000 in increased scholarship funds. We hope to raise a similar amount of new funds this coming year. MCAD is a place where creativity meets purpose. We are committed to spending your tuition dollars wisely in order to provide you with the best possible art and design education and help you achieve your goals as you transform your creative passions into meaningful careers and work in the world. Tuition increases seem to be as common on campuses across the nation as flip-flops are in the middle of winter on college students. The cost of tuition going up is just something that you can inevitably rely upon. So, as tuition costs are rising what are some things that you can do to help keep yourself immune from those fee increases? I have a couple of ideas to share with you. Pay For College Upfront: Some colleges still provide the opportunity for you to pay for all four years up front and allow you to lock-in the rate of tuition being charged to your student for their first year. 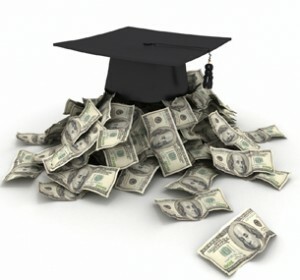 Obviously you have to have some serious cash stashed away to go this route but it could be an option to avoid the unknown tuition percentage increases for subsequent years. Lock In A Semesterly Tuition Rate With Your School: Let’s assume that your college of choice has historically increased tuition by an average of 8% for the past 10 years. Based upon this past performance, you can probably estimate that tuition increases may be similar for the next 4-5 years. Instead of getting hit with that full increase over the course of four years, you offer to pay a premium tuition rate to the school that averages a little higher for the first two years but ends up being lower than the actual cost of tuition the last two years. The magic number for the tuition rate is something you can hash out with the school but chances are they may be willing to work with you if it means your financial happiness and that your student will remain a student at the college for all four years. Look for Tuition Guarantees: A handful of schools across the nation provide a tuition freeze for all incoming students. Basically stating that whatever you pay for tuition your first year will be the same amount you are charged during your last year. To date, I have only found thirteen colleges that provide this type of program. Pre-Paid College Savings Programs: Years ago this used to be extremely popular and many states were offering programs that allowed you to purchase credits (course credit hours) at the going rate and then guaranteed them to still be worth a credit hour regardless of when you cashed them in (ten years from now or twenty!). Basically, it locked in your tuition rate at the time of purchase/investment and allowed you to be carefree in regard tuition increases. Unfortunately, after all the turbulence in the stock market, many of those programs have either ceased to exist or have restructured to ensure their existence for the long-haul. Independent 529 seems to be one of the few that are still guaranteeing investors the opportunity to lock in today’s tuition rates at over 270 private colleges in the nation. Go To Work For A College: If you have a student that is coming up through the ranks of high school and you are not committed to your current career, you can always try to land a job at your local college or university. Typically, most schools provide some sort of tuition remission benefit for their employees that allows their kids to go to school for free (or at least without tuition expense). This approach not only helps you avoid tuition increases but it also helps you to eliminate the cost altogether. Regardless of your financial resources, I hope that one of these five options can be applicable to your situation and help to keep your exposure to tuition increases at a minimum as your student makes their way off to college. Basically, the trustees for UMass are keeping tuition and fees the same (a freeze) as last year but they are not providing the additional discounting (rebate) so the bottom-line cost for the families is increasing. The tuition freeze part of that statement sounds great but the end result is not so palpable for families and students that are trying to make education affordable. The new tuition and fee rate for the 2010-2011 academic year for Massachusetts residents is $11,732 and room and board charges are $8,814. Out of state residents can anticipate paying $23,628 for tuition. 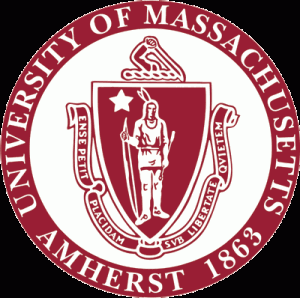 If you are a University of Massachusetts student and you find yourself scrambling to try and make ends meet and cover your increased tuition expenses, please don’t hesitate to use CheapScholar.org as a resource for ideas to help lighten the impact on your checkbook. If you are an incoming freshman (or the parent of that student) one of the main concerns you should have is how much your tuition is going to increase over the course of your educational career. There is no perfect science to forecasting what the tuition increases will be but a good starting place is to ask your school what their percentage increases have been over the course of the past 5 to 10 years. They may not be able to readily answer that question but they can always get back to you. Based upon a study by the National Association of Independent Colleges and Universities (NAICU) the following colleges and universities have made promises of no tuition increases to their incoming students. My guess is that room & board expenses are still up for grabs when it comes to fee hikes but a tuition guarantee is certainly something to appreciate. Earlier in the week I wrote an article about how Michigan State University was adopting a tuition freeze yet implementing an increase in the cost of room and board for students attending next year. I am not sure if it is in direct response to MSU but recently Eastern Michigan University has stated that it is not going to raise tuition for the upcoming academic year AND they are also going to maintain the same fees for room and board costs! As an outsider (not residing in the state of Michigan), it appears that all the Michigan colleges and universities are digging deep to compete with each other to attract and retain quality college students. Their efforts are driven by an uncertain state budget outlook for the coming year. However, the true winner in this situation will be the students attending these schools. Additional fee information for Eastern Michigan University can be found here. Higher education has always been a competitive market but it certainly looks like a great time to be a student in the state of Michigan! 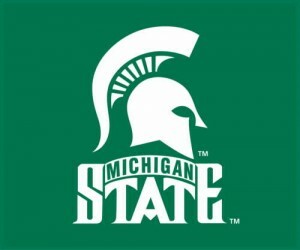 Increasing room and board fees and leaving tuition rates alone is somewhat of a new concept but Michigan State University is committed to doing just that for the upcoming 2010-2011 academic year. The trustees for the University voted to increase room and board fees by 5.1%. With this increase, basic room and board charges for those living in the residence halls will be $7,770. I would like to applaud MSU for attempting to keep their tuition rates under control even though the state of Michigan still struggles to keep a balanced budget. The students and families that attend MSU are sure to be very appreciative. In-state undergraduate tuition remains frozen. Out-of-state undergraduate tuition increases by 5 percent at MU and Missouri University of Science and Technology and 2.7 percent at the University of Missouri–Kansas City and University of Missouri–St. Louis. Graduate student tuition increases by 2.7 percent. Professional school tuition increases will vary by department. On the high end, out-of-state veterinary medicine students will see their tuition increase by 31 percent, although at the curators’ meeting, Nikki Krawitz, UM System vice president for finance and administration, who was presenting the budget to curators, made a point to say this affects a handful of students. A UMKC in-state tuition rate for four counties in the Kansas City area will expand to seven more counties. 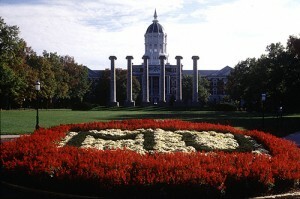 The University of Missouri school system implemented the tuition freeze for undergraduate students after striking a deal with Governor Jay Nixon that would limit any funding decreases to the school to no more than 5.2%. Definitely a nice trade-off that works in the benefit of the students (non-professional) attending the University of Missouri school system. If you would like to learn more about the University of Missouri and the 69,000 students that currently attend, you can visit their website here. Community colleges have been a great resource for cash strapped students looking to start their education at an affordable price. The state of Maine recently announced that the seven community colleges housed under their system will be freezing tuition pricing again for the upcoming 2010-2011 academic year. This tuition freeze is part of a decade long plan to bring Maine’s community college tuition pricing in line with that of the national average. In order to achieve this goal, the community colleges have frozen tuition rates seven of the last twelve years (see chart). 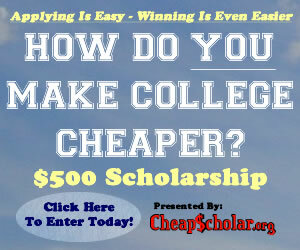 CheapScholar.org would like to applaud the Maine Community College System for their efforts in making college affordable for their residents and the 16,300 currently enrolled students. For more information about the Maine Community College system, you can check out their website here.